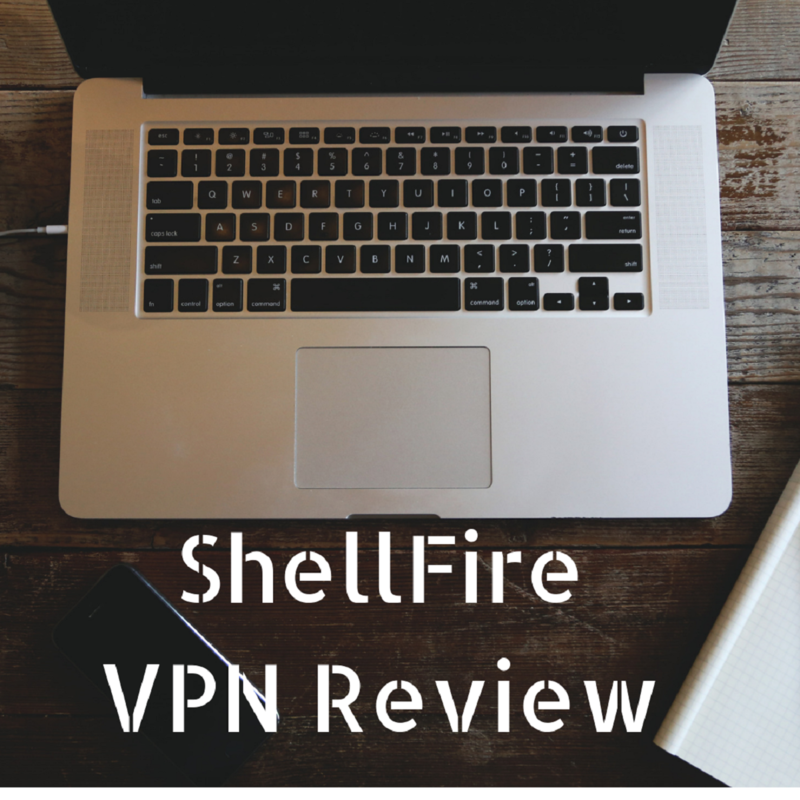 ShellFire is one of the pioneers in the VPN industry. Starting its operations back in 2002, the company is based in Germany that has the strongest privacy laws in the world. HoIver, new surveillance and data retention laws make it a gray area until I are exactly sure what laws are going to be implemented. In our VPN reviews, I try to be as unbiased and blunt as I can be to provide you with the most accurate and real facts. ShellFire review points out the bad and the good as I carry out an unbiased review. With attractive pricing plans, the company tries to reflect that it’s an active competitor in the industry, but let’s find if it’s any worth it in this review. ShellFire offers one great option that almost no other VPN providers in the industry, it gives you a free account which is capped to 1 Mbps and lets you only choose either the American or the German server. You can pay your VPN with PayPal, Direct Debit, Bank Transfer, Bitcoin or Credit Card. I am delighted to declare that the provider does not log user information, so you can relax. No one will come knocking on your door, especially in the times of 5/9/14 eyes alliance. However, always read the terms and conditions properly before making a purchase as the provider might intend to log your data. As per now, what I know is that the new data laws have not been implemented yet. But you should know, the country’s intelligence service (BND) quite actively monitors citizens and closely complies with GCHQ and the NSA. This is the reason why Germany is not regarded as the best choice when it comes to protection of your online data and privacy. When it comes to the interface of ShellFire, the company has not done any exceptional work and neither is the application at treat to look at. It reminds me of the Windows 95 Operating System (sarcasm intended). 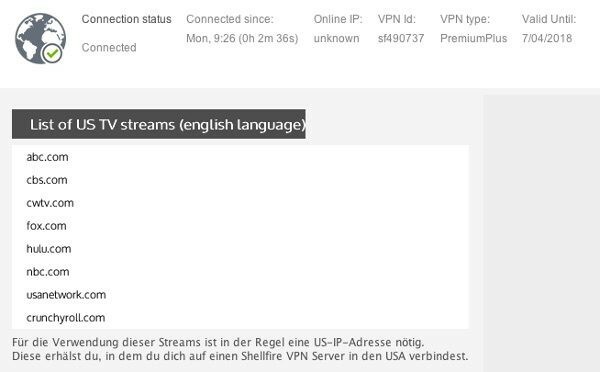 Another great feature that ShellFire offers is that famous TV streams are already preloaded on the software, which is quite good if you’re searching for a VPN just to watch restricted content. I conducted IP leak tests multiple times to make sure the provider was strong enough to be on our recommended list. Luckily, it passed its first leak test. However, upon testing it at multiple time intervals, I did notice leaks on few servers. What makes the matter worse is that the provider does not offer automatic kill switch, which is a life saver if your VPN connection stops. An automatic kill switch disconnects your connection as soon as your connection with the server is dropped. This protects you from being located in the event you are being observed by a criminal, surveillance agency or governmental organizations. The application for ShellFire is available for all major platforms like iOS, Android and Windows. If the application for your device is not available, you can connect to the service using OpenVPN, PPTP or IPsec. Trustpilot is the place to go if you want real and unbiased reviews. The site provides customer reviews about almost everything, be it a blender or a VPN service. I headed to its site to find out what customers have to say about the provider. Yes, there are no reviews about ShellFire. This indicates that the service isn’t really popular and neither has a large user base. However, this can be an area ShellFire can work upon and promote its users to share their experience on Trustpilot. ShellFire has only 37 virtual server locations, which compared to the market is. Most VPN services today provide with at least 60 server locations. But it does offer major locations like the US, UK, Canada, most of Europe, and Australia. You can unblock popular streaming services while using ShellFire’s server network. Sadly, the lack of servers means that a lot of IP’s will be shared on the same server, which obviously means that speed will be compromised. Therefore, it is always advisable to opt for services which have a large number of servers that are widely spread across the globe, such as NordVPN that has more than 5000 servers. I put ShellFire VPN service under speed test to find out how much impact it has on the internet connection. 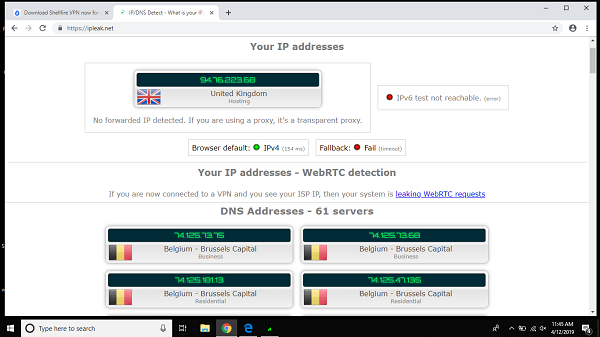 First, it did a test without a VPN connection and then conducted tests using its servers in the United Kingdom. The speed tests clearly indicated that this is not the VPN to get if your work involves high data usage. By simply connecting to the UK server resulted in more than 78% loss in download speed. The upload speed was compromised way more resulting in a 95% loss. To be honest, the customer support offered by ShellFire is trash. Period. Firstly it’s not live so no 24/7 help available. In fact, the chat bot itself is automated and no human is behind the screen. So if you need immediate help with your service in the middle of the night, there won’t be anyone to help you. You’ll have to email them and wait until the company replies, which could take an hour, a day or a week, you just won’t know. I have conducted the entire review of ShellFire using various tools to check its capability and all our results are unbiased. 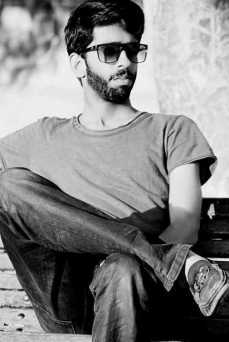 The service seems to be weak, laid back and one that needs serious improvement. The connection instability and fall in download speeds were the worst areas of the service and can be seriously annoying aspects when you get a VPN service. As a privacy advocate and tech lover, I would rate Shell fire hardly 1/5 due to its lacking in many areas. How was your experience with ShellFire? Do let us know in the comments below.